One of the most revered zombie films of all time amongst horror fans, Lucio Fulci’s classic City Of The Living Dead gets the full Arrow Video treatment on DVD and Blu-ray in May 2010, presenting the film fully restored and uncut and complete with a host of unique and exclusive extras and featurettes specially commissioned for this must-have release. Among the many extras are a newly recorded audio commentary with actor Giovanni Lombardo Radice, an introduction to the film by star Carlo De Mejo, ‘Carlo Of The Living Dead’, a 17-minute featurette in which De Mejo reflects upon his time working with the Italian master of splatter, Lucio Fulci, plus ‘Penning Some Paura’ in which the film’s screenwriter Dardano Sacchetti shares his recollections of writing an Italian horror classic. The 50-minute ‘The Many Lives And Deaths Of Giovanni Lombaro Radice’ presents an extensive biography of the legendary screen victim, who guides viewers through the making of his most famous gut-crunching classics including ‘House On The Edge Of The Park’, ‘Cannibal Apocalypse’, ‘Cannibal Ferox’ and, of course, ‘City of the Living Dead’. In addition to providing an alternative audio commentary to the main feature, legendary horror actress Catriona MacCall recalls playing the role of Mary in the film in ‘Dame Of The Dead’ and reflects upon the film 30 years on. Catriona also appears alongside Giovanni Lombardo Radice in a 20-minute retrospective Q&A session exclusively filmed live at the Glasgow Film Theatre following a recent special screening of the film. Filmed in the Profondo Rosso shop in Rome, ‘Profondo Luigi: A Colleague’s Memories Of Lucio Fulci’ focuses on director Luigi Cozzi (Contamination; Starcrash; The Killer Must Kill Again) who talks about his own memories of Lucio Fulci and the Italian boom in zombie horror, while in ‘Fulci’s Daughter: Memories of the Italian Gore Maestro’, Antonella Fulci, the daughter of the legendary filmmaker, reflects upon ‘City Of The Living Dead’, the experience of visiting her father’s sets and about his enduring legacy. 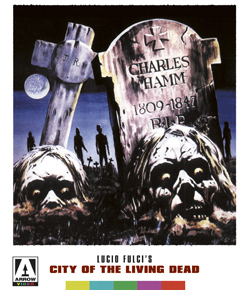 Both the DVD and the Blu-ray releases of ‘City Of The Living Dead’ also come with four sleeve artwork options, double-sided poster, six postcards and a newly commissioned booklet, ‘Fulci Of The Living Dead’, written by Calum Waddell and featuring exclusive new interviews with Sergio Stivaletti (Wax Mask), Carlo De Mejo, Antonella Fulci and Ian McCulloch (Zombie Flesh Eaters) among others, providing an in depth career retrospective on the Grand Old Man of Italian Gore. 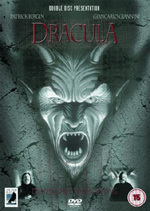 Directed by Lucio Fulci (The House By The Cemetery; The Beyond; Zombie Flesh Eaters) and starring Christopher George (Mortuary; The Exterminator; Grizzly), Catriona MacColl (The House By The Cemetery; The Beyond), Carlo De Mejo (The House By The Cemetery; Alien Contamination), Giovanni Lombardo Radice (Cannibal Apocalypse; Demons 3 and 4) and Michele Soavi (Demons; Phenomena; Tenebrae), City Of The Living Dead begins with the suicide of a priest in a church cemetery in the small town of Dunwich, New England. 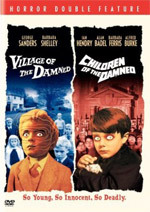 A sacrilegious act, the priest’s death mysteriously results in the opening of the gates of hell and, as fate would have it, it falls upon a reporter, a young psychic, a psychiatrist and his patient to team up and find a way to close the portal before All Saints Day, when the dead will rise and feed upon the living. A hugely influential and much-admired work of horror cinema by one of the genre’s undisputed masters, City Of The Living Dead, taken purely as a stand-alone film, is a must-see horror classic. Now, this definitive special release from Arrow Video is, without doubt, a must-have for every horror fan. City Of The Living Dead (cert. 18) will be released a two-disc DVD (£17.99) and single-disc Blu-ray (£22.99) by Arrow Video on 24th May 2010. Given the films TV origins, it would be a tad harsh to diss the FX but hey let’s do it anyway. They are atrocious.